Reliable Fast Fixed Rural Broadband. Seeing is Believing. Broadband Solution Specialists||Now Installing Fast Rural Broadband |Dublin||Cork|Meath|Louth|Kildare|Carlow|Kilkenny|Wexford||Longford|Westmeath |Laois |Offaly. Don’t be without check it out. We can also extend your Fiber to out-buildings / offices. Try it we guarantee you will be impressed. Contrary to what you are told fast broadband is available to most people in Ireland. The problem for big providers is that each house needs an individual installation and it much more convenient for the big companies to run a cable to the door. Individual Installs are a huge logistic problem and they are not setup for this kind of operation. So none of the big players have entertained this approach and there is no state aid. we supply and fit high quality equipment to capture the best mobile phone signal at your house or business. Install an antenna to capture the strongest mobile phone signal. Fix The antenna to stabilize reception and to boost the speed. Cable feed the signal to a specially built modem to accept a mobile phone sim card. Broadband Speeds 15 to 47mg average . This will give the user ample speeds carry out your on farm activities to work from home, run a business do day to day internet streaming etc..
We can also provide further facilities for companies that need a broader spread and more coverage. Try it we Guarantee you will like. 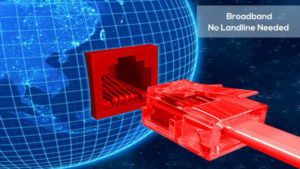 We have a range of products that will not only boost your broadband speed but it will also make your connection more reliable. You can enjoy using the internet, stream TV, Movies and so much. Like never before. Our product range of fixed-wireless broadband solution includes; Antennas, WiFi Boosters, High Speed Mobile Broadband Routers & More. Speak with us to find the perfect solution for your home or business. We specialize in rural broadband and offer our service to poor signal areas. Do You need Faster Broadband Speeds? Do You Want To Watch TV Online Without Buffering? Do You Want Hassle Free Broadband That You Can Depend On? Do You Need To Extend Your Wireless Broadband Signal Throughout The House/Building? Do You Wish To Increase Your Broadband Speed? 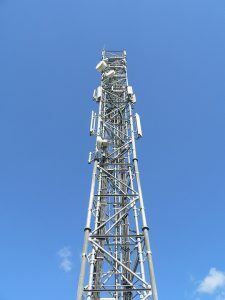 We offer the latest fixed wireless broadband technology solutions providing high speed broadband, to rural areas using the 4G networks where possible. We have a number of broadband peripheral products that can help in boosting and extending your broadband signals at home and at work. We supply and fit high quality antennas, high speed broadband routers, Wi-Fi boosters and more. Rural Broadband Solution Specialists Now Installing Fast Rural Broadband even in remote aeras anywhere|Dublin|Meath|Louth|Kildare|Carlow|Kilkenny|Wexford|Cork|Longford|Westmeath|Laois|Offaly|. 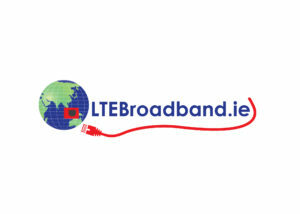 Broadband Solution Specialists||Now Installing Fast Rural Broadband |Dublin|Meath|Louth|Kildare|Carlow|Kilkenny|Wexford||Cork|Longford|Westmeath|Laois |Offaly. © Copyright 2002 - 2015 Saorview/Freeview TV Specialists. All Rights Reserved.